The National Registry of Emergency Medical Technicians serves as the Nation’s Emergency Medical Services Certification organization. The mission of the National Registry of Emergency Medical Technicians has always been centered on protecting the public and advancing the EMS profession. The National Registry’s mission is to provide a valid, uniform process to assess the knowledge and skills required for competent practice by EMS professionals throughout their careers, and to maintain a registry of certification status. The National Registry is governed by a Board of Directors comprised of some of the most prominent figures from all segments of the EMS community and the general public. Our board members are committed to public protection and quality patient care. The National Registry is accredited by the National Commission for Certifying Agencies (NCCA), the accreditation body of the Institute for Credentialing Excellence. 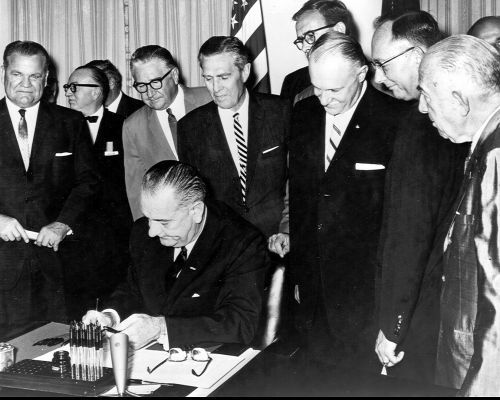 It has been nearly five decades since President Lyndon Johnson's Committee on Highway Traffic Safety recommended the creation of a national certification agency to establish uniform standards for training and examination of personnel active in the delivery of emergency ambulance service. The result of this recommendation was the creation of the National Registry in 1970. Prior to that time, a national certification standard for emergency medical care did not exist. Since then, the National Registry has certified over one million EMS providers. Today, over 330,000 individuals are Nationally Certified at the Emergency Medical Responder (EMR), Emergency Medical Technician (EMT), Advanced-EMT (AEMT), or Paramedic level. National EMS Certification is an important component of public protection. The National Registry of Emergency Medical Technicians® (NREMT) provides National EMS Certification, which is a validated and legally defensible attestation of competency. When an individual obtains a National EMS Certification, the general public, employers, and state licensing authorities know that the individual has demonstrated competency. 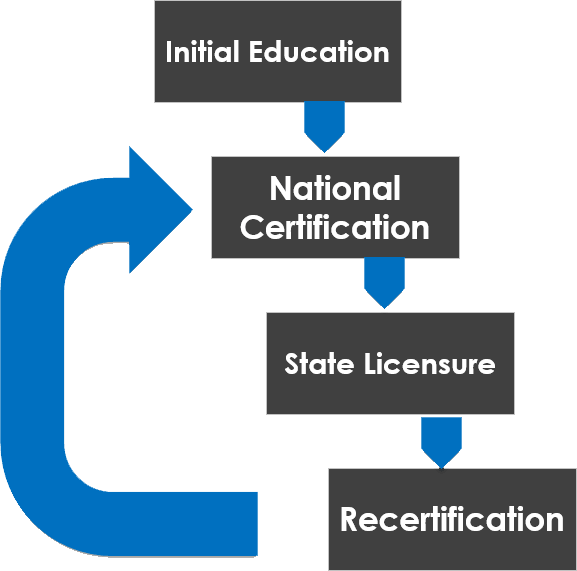 The National Registry is recognized in every state in the United States, and 46 states use the National Registry certification as a basis for licensure. Learn more about the differences between certification and licensure in this article. Because the top priority of the National Registry is the safety of the American public, the National Registry is continuiously researching methods for the most accurate, precise and fair method of measuring a candidate's competency. Thousands of hours are devoted every year by experts from the EMS medical community on question development, validation, practice analysis, and standard setting. The National Registry certifies four levels of Emergency Medical Services professionals: EMR, EMT, AEMT, and Paramedic as identified in the National EMS Scope of Practice Model. National experts in EMS – including state officials, educators, employers, and EMS physicians – write exam questions (items). A single test item takes about one year to develop and pilot test. Each of the item banks contain thousands of questions. Every question is calibrated to entry-level competency for a certification level. This process ensures the certification examination is both legally defensible and psychometrically sound. Learn more about the Cognitive Exam process. The National Registry of EMT's relies heavily on input from volunteers in the EMS community to improve our products and services. Several times a year we gather a diverse group of EMS professionals from across the nation to collaborate with us in areas such as cognitive exam development, psychomotor exam development, publication and software review, practice analysis and others. EMS personnel of all backgrounds and experience levels are encouraged to apply and become part of this prestigious group that is helping shape the future of the National Registry. Learn more about volunteer opportunities and the application process here. Continually advocate for quality patient care. Function with integrity, honesty and objectivity. Make decisions based on scientific evidence. Provide excellent customer service and operate in a staff friendly environment. Operate in accessible, open and collaborative manner. Be innovative and flexible in its efforts to support the EMS profession. Act with impartiality through standardized, bias-free evaluation processes.